Many historic Texas trails are legendary, not only in Texas, but around the world. The Comanche Trail invokes images of Comanche warriors on war-painted ponies trekking across Llano Estacado on their way to raid in Mexico during the “Comanche Moon”. Think of the Buffalo Soldier Trail or the Chisholm Trail and images of rugged soldiers and cowboys hunkered down around campfires fill the mind. 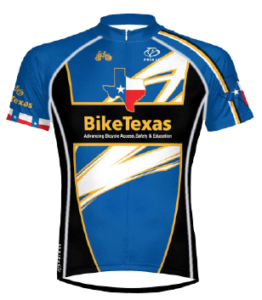 BikeTexas is proud to encourage and support the development of these bicycle tourism trails in an attempt to foster and promote Texas as a world class destination for touring cyclists. The trails are advanced through the identification of the best candidate trails, the placement of relevant signage, and the paving of gravel segments. Bicycle tourism is an economically beneficial attraction for many cities and rural communities around the nation. Rural communities and small towns particularly benefit from the locally based economic potential of bicycle tourism. It is a great way to take advantage of the geographic, scenic, historic, and cultural diversity of Texas to benefit residents, visitors, and local economies. Bicycle tourism is a year-round attraction. As an example of bicycle tourism success in Texas, the Copperas Cove Chamber of Commerce has recently adopted “Bike Central, TX” as its tourism theme. Attributed to bicycle tourism, the Copperas Cove local economy benefits by increased bed tax and sales revenue, and the natural beauty of the surrounding landscape is being discovered and enjoyed by citizens of other Texas communities. Bicyclists visiting a community spend money on food, lodging, equipment, services, and other attractions and entertainment. Due to the spending potential of their demographics, they often patronize locally owned and high-end establishments, i.e. they will pay more to experience the local flavor of a place. 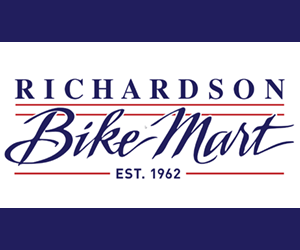 Locally owned Bed & Breakfasts, bakeries, cafes, shops, and cultural attractions benefit from bicycle tourism, resulting in more money being spent and staying in the local economy, supporting the overall local tax-base and employment. States across the US are becoming aware of the economic potential that bicycle tourism can bring. Virginia, Florida, Louisiana, Vermont, Wisconsin, and Maryland, to name a few, are currently promoting and/or studying bicycle tourism as a cost-effective, clean industry, with great multiplier effects to enhance their local economies. Colorado estimates up to $193 million and Maine, over $66.8 million, in total annual economic benefits from bicycle tourism. Texas has an untapped potential to promote year-round bicycle tourism throughout the state with trails such the Old Texas Highway 20 from Houston to Austin, the Texas Buffalo Soldier Historic Trails in the Hill Country and Davis Mountains region, and Rio Grande Valley trails. Several states have recognizable tourist trails associating the local history, culture, and natural landscape with widely marketed names. Virginia’s Blueridge Parkway, W&OD and Mt. Vernon trails and Colorado’s Santa Fe Historical and Continental Divide trails attract thousands of national and international tourists every year, bringing money and distinction to these states. Texas, rich in history, culture, and natural beauty, has untapped treasures on which to promote bicycle tourism throughout the state.